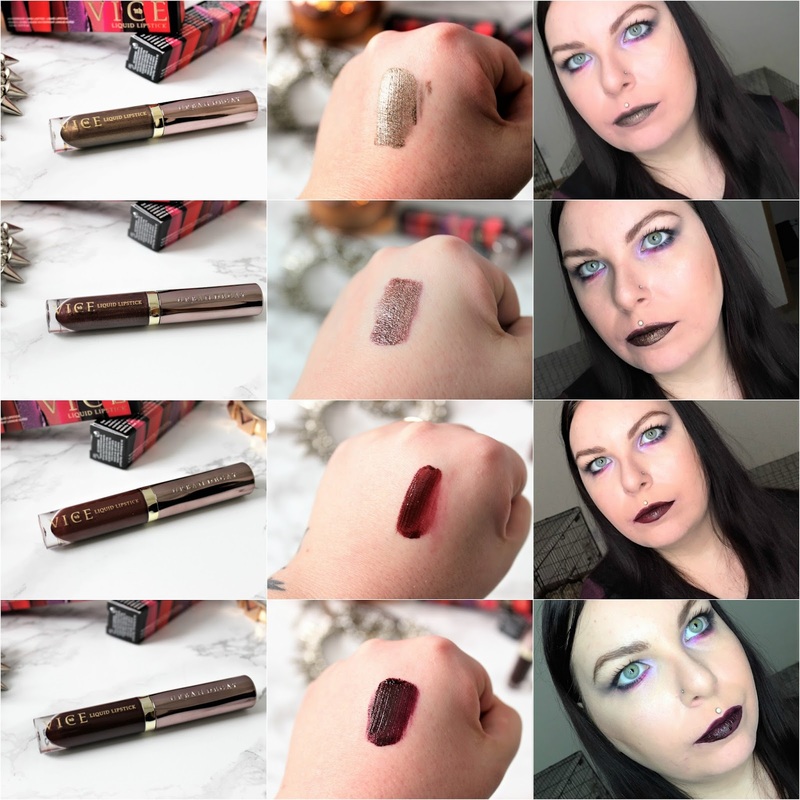 I could barely contain my excitement when I got a shipment notification from Urban Decay for the new Vice Liquid Lipsticks. I've been super excited for these since they announced them and I could not wait to get my hands on them to try them myself. 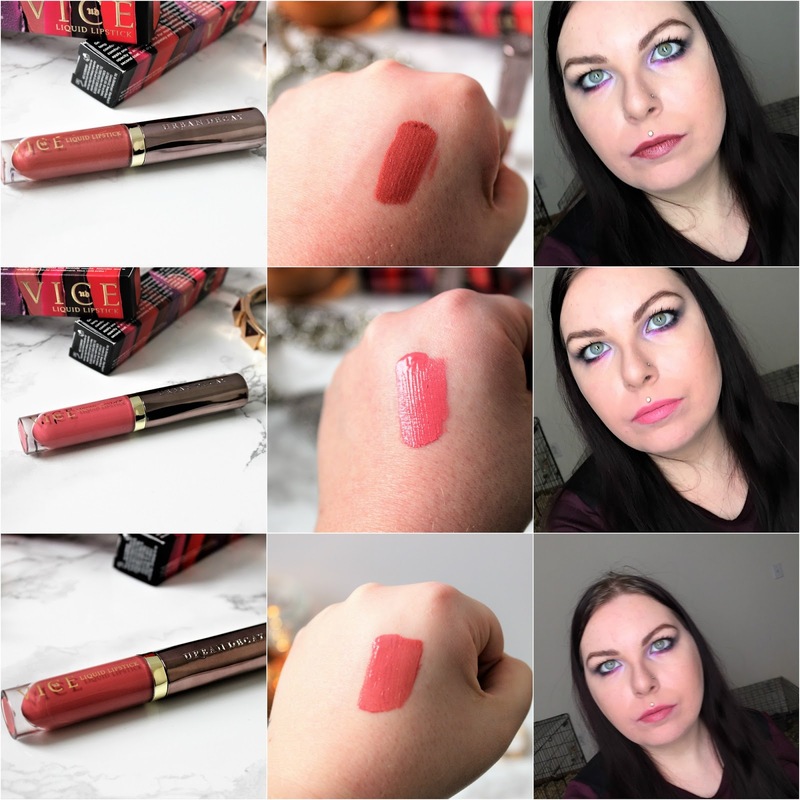 There are 30 shades in the full Vice Liquid Lipstick Collection; I have 25 of these to share with you. 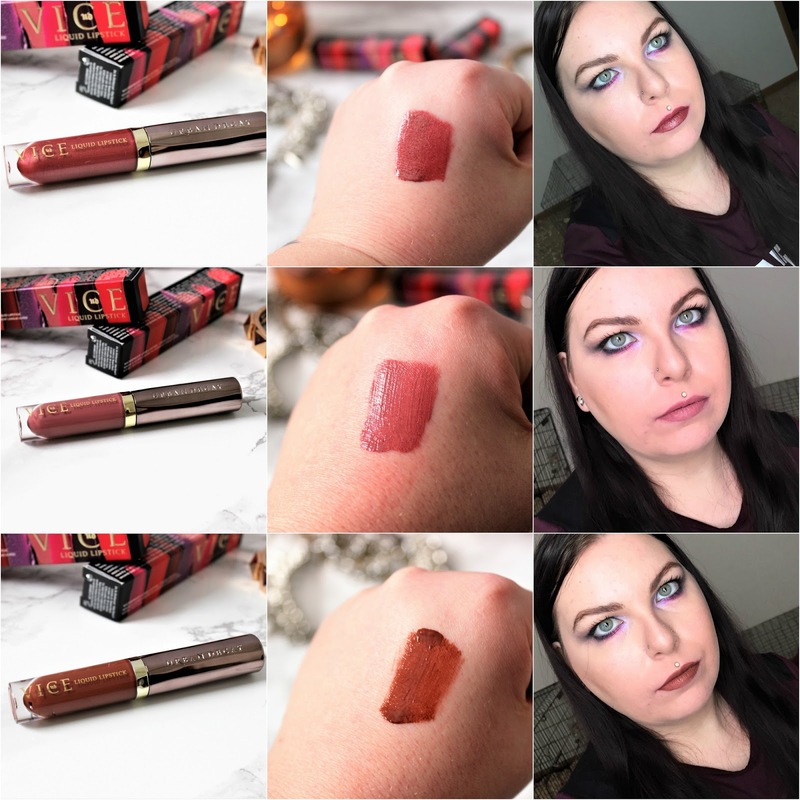 Since there are so many and I did hand & lip swatches, I made these into collages so this post wouldn't be so picture heavy. Otherwise, there would be upwards of 75 pictures in this post. The packaging of the Urban Decay Vice Liquid Lipsticks is gorgeous. It's similar to their Vice Lipstick bullets, with the gunmetal and gold, and I really like it. The wand is an angled doe foot applicator, which makes application pretty easy. Now that I've said that, I will get judged for my lip swatches. Keep in mind, 25 lip swatches is a lot. By the end, my face hurt, and I wasn't drawing straight lines or in the lines anymore. I was like a 2 year old with a sharpie. The color range is also pretty extensive and there are two finishes, comfort matte and metallized. 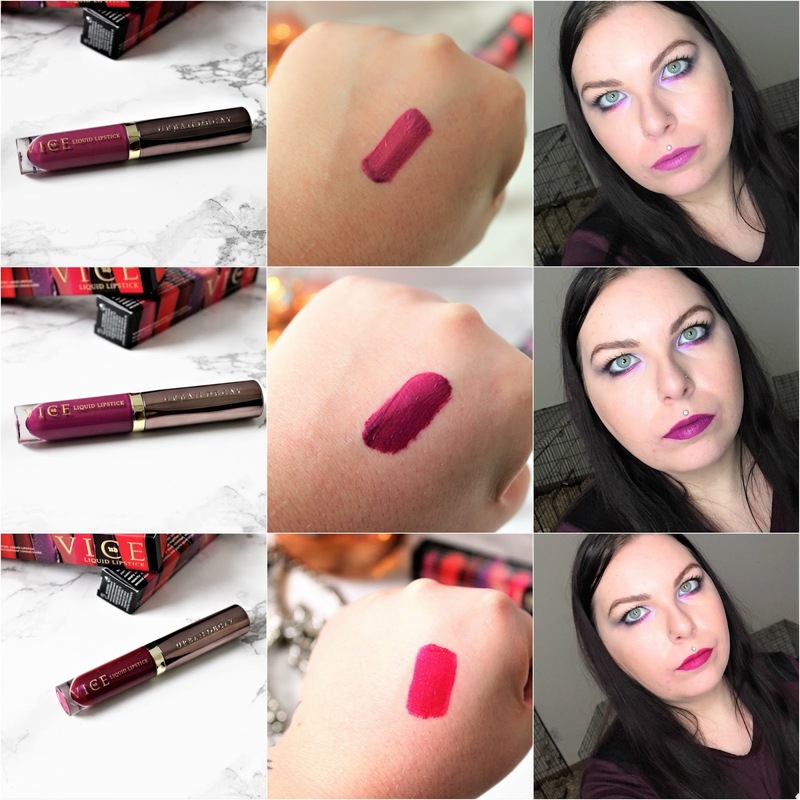 These are described as waterproof, pigmented, and long-lasting with zero transfer. We'll do the swatches, and then I'll give you my review. I'm definitely going to buy Time, because I think that's going to be my favorite shade, for sure. I obviously have not had time to wear every single shade for an entire day. I have had every shade on my lips, and I have worn Mad, Rapture, Twitch, Firebird, 1993, Studded, Conspiracy, and Blackmail for extended periods of time, meaning longer than 4 hours. During this time, I did eat, drink and go about my normal day, at home, wearing no other makeup and looking like a crazy person. All of these wore really well for me. They didn't transfer, peel, crack or any of the other weird things some liquid lipsticks tend to do. They only faded on the inner parts of my lips after eating, and only the slightest bit. Application was easy. The formula feels nice and the majority apply well. The only shade that really was sheer was Flame. It's pretty sheer but I kind of like it that way. I'm sure you can build it up if you wanted to, but it is sheer and if you try to layer it before it dries, it will remove it in the places you touch it. 1993 is the slightest bit sheer, but that was easily fixed by going over it once more. The metallized formula is pretty, but sometimes the shimmer is difficult to see in certain shades, like Trap Queen. If you run your finger over the top of your lips after they are completely dry, it will make the shimmer pop more. Also, you can't feel the shimmer or glitter in them when they're dry, so there's no gritty feeling. 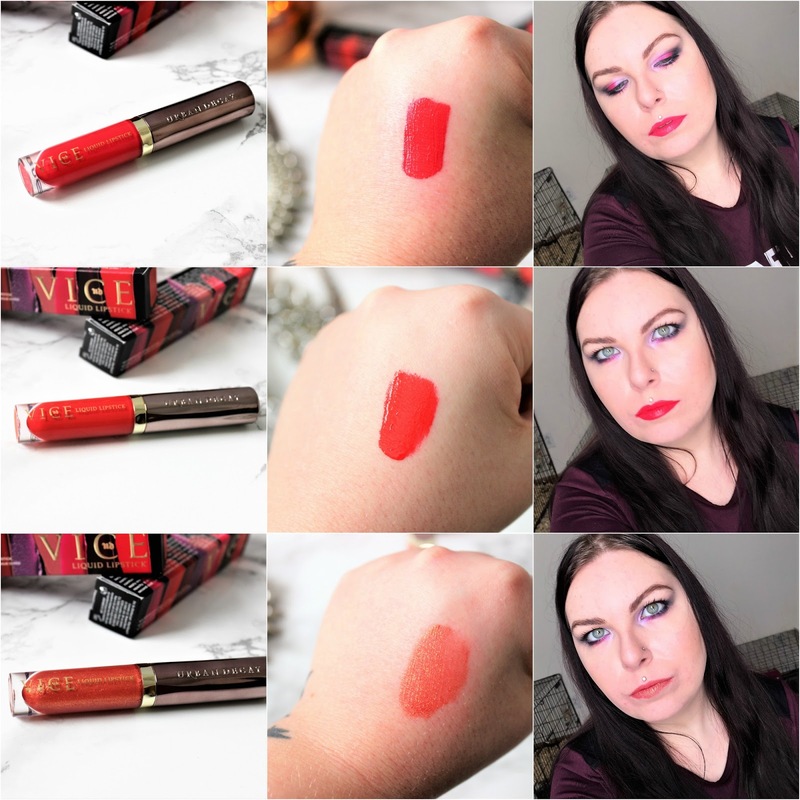 As with all liquid lipsticks, make sure you shake them up before you use them, and even stir the wand around a bit, especially in the metallized formulas. The metallic liquid lips tend to separate and then they won't apply well. Overall, I really like these and I already have a few favorites. My favorites are Mad, Rapture, and Studded. 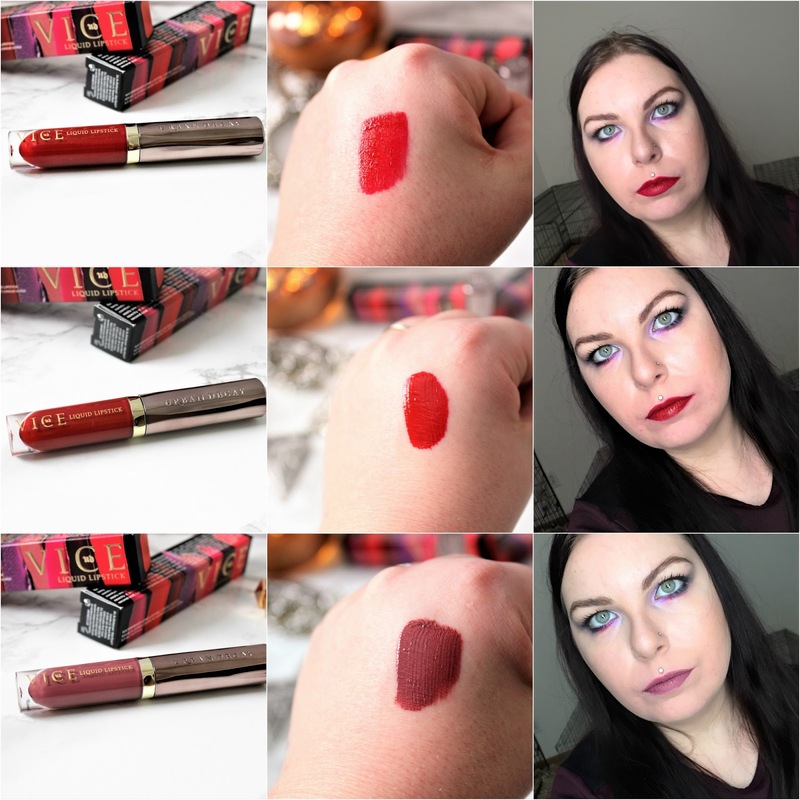 These will be my next lippie buys! I need Trivial and Backtalk. Especially the latter. I love the packaging, too! I know I don't need these, but man I want them. There are a couple colors that really speak to me right now. SO MANY GORGEOUS COLOURS! Firebird, Flame, and 1993 are the ones catching my attention first. 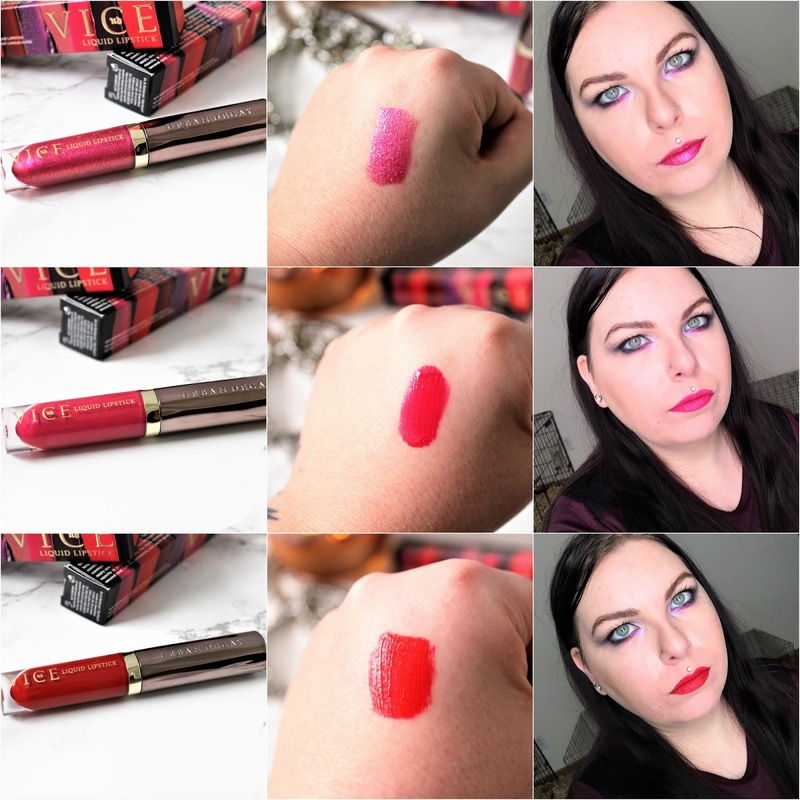 I LOVE how you did the swatches in this post! Just gorgeous. 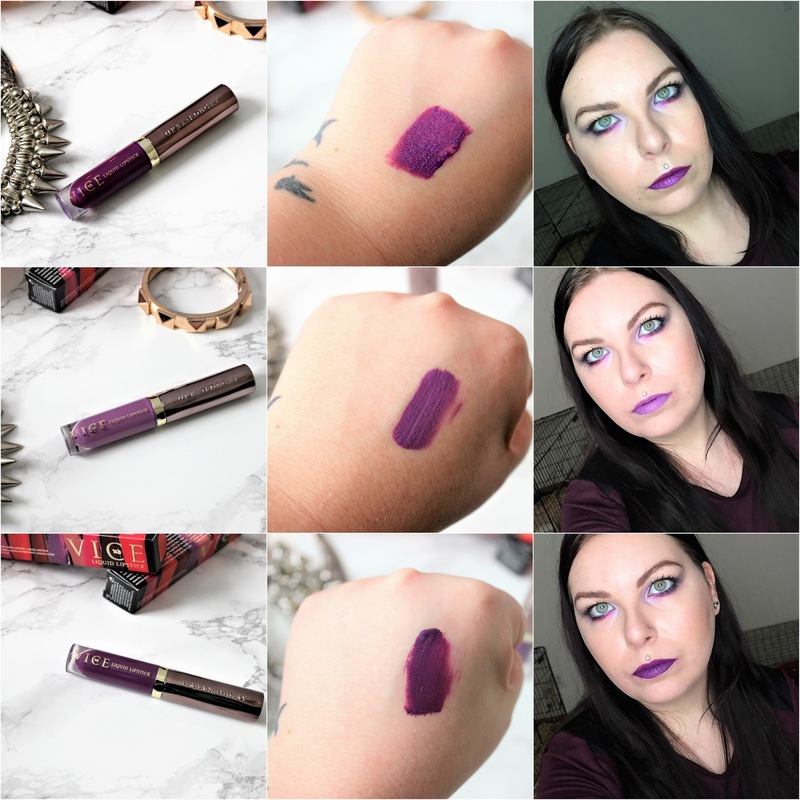 You rock a purple lip like no one else! I'm digging Naked on you! Such a simple shade but still packs a punch. I think your swatches are great! I lack the fortitude to do this many in one go. These lipsticks pretty awesome. Thank you! I literally thought my lips were going to die. I need, oh 20 of these. LOVE!